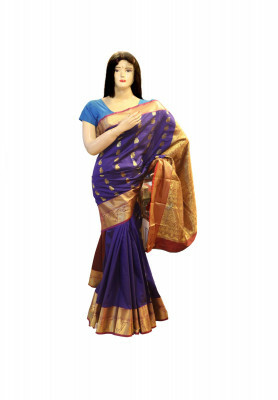 Indian Saree made of katan fabric, comes with wonderful Jori work on all over body. Very beautiful color combination with blue and golden. 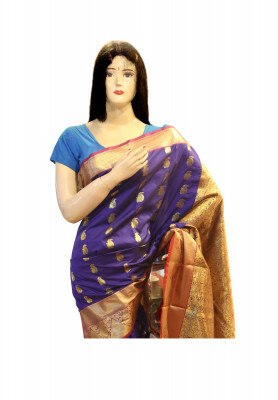 Product also has blouse piece and orna included in it. 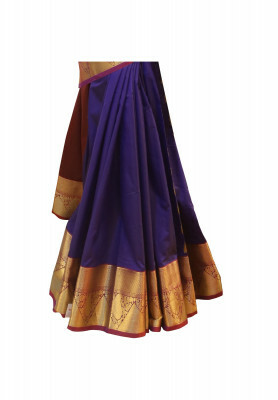 Very convenient choice for bridal wear on Gaye Holud or engagement. Affordable, and home delivery available.